Four years ago we installed a stone shower floor in our shower. And it looked amazing for years. But slowly over time the stones looked like they were fading. What can be done to make them look like new? And will that product also serve as the grout sealer? What’s the Best Grout Sealer and Stone Enhancer? 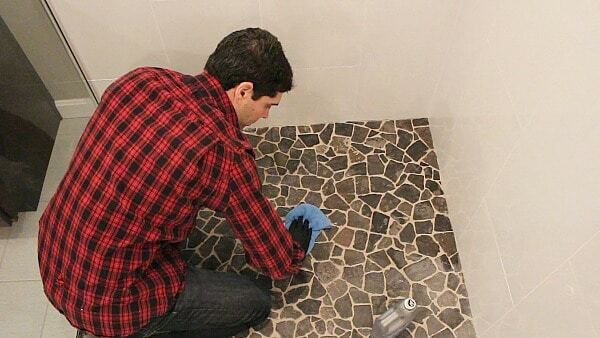 Before we discuss the grout sealer and stone enhancer, it’s best to clean the tile thoroughly. Otherwise, dirt and grime on the tiles will be sealed…and that’s not good. There are a variety of different methods for cleaning tile and grout. I tested a few and like using OxiClean with a drill brush. Bren over on Brendid.com also did a thorough test of grout cleaners and I highly recommend reading her tips. Clean tile and grout, then let it dry. One of the best grout sealers that can also seal stone is Stone Enhancer by Aqua Mix. It’s not cheap but will make stone tiles look new. Plus, it effectively seals the grout. Application of Stone Enhancer is super easy. That said, test it on a small area. For example, I applied it to one stone tile and watched the results for a few days. The treated stone is darker than the others. 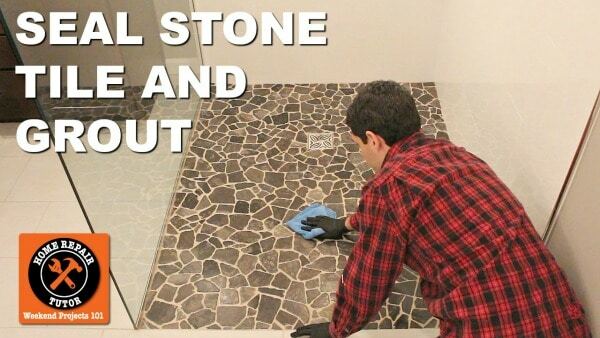 Stone Enhancer will darken stones and grout. Apply the sealer to to a microfiber cloth and start in the corner. I added about a quarter size amount of Stone Enhancer to the cloth. And used circular motions to apply it. 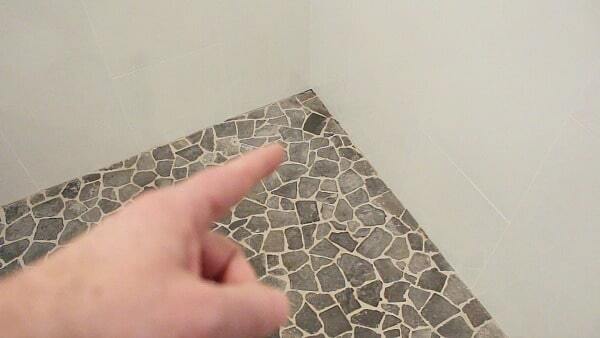 There’s a huge difference between the treated tiles and untreated ones. 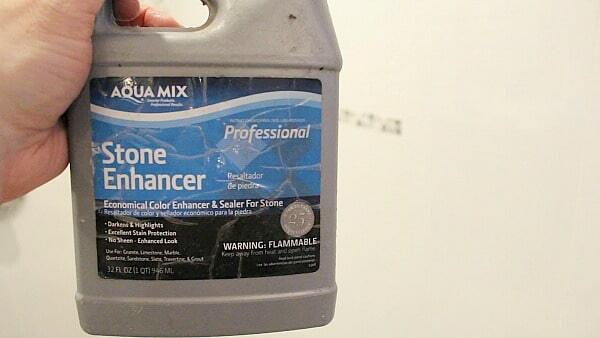 Stone Enhancer can be found online or at local Home Depots. 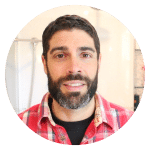 Using grouts like Spectralock or Permacolor Select can eliminate the need for sealers, keep that in mind when doing a bathroom remodel.